Identifying States of Matter: Solid, Liquid, Gas? Can an ice cube be made from a gas? What is the difference between solid and liquid? In this worksheet your child will need to decide whether each picture is a solid, a liquid or a gas, and draw a line connecting the similar states of matter. After he labels each item, help your child understand the different states of matter. Why does water freeze? What mode of cooking can turn a cup of water to steam? This science worksheet will challenge your child's knowledge of the different states of matter. 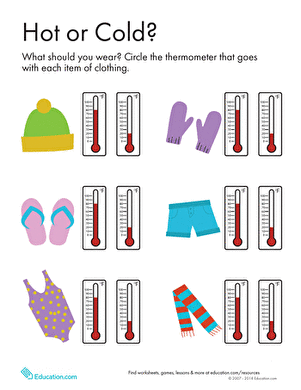 For each item on this year two science worksheet, kids match a piece of clothing with the thermometer showing a temperature for wearing the item of clothing. What are the different types of animal body coverings? Help kids sort and categorize these animals based on their body coverings. 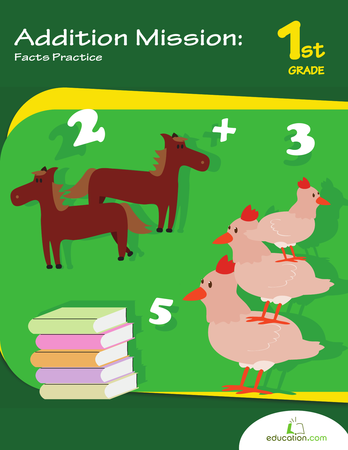 Explore life science with this informative chicken life cycle worksheet. Help your student colour and learn the names of each stage of a chicken's life. 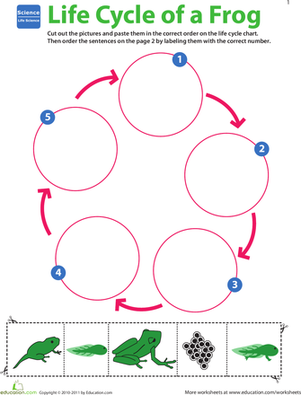 Has your child learned about the life cycle of a frog in school? 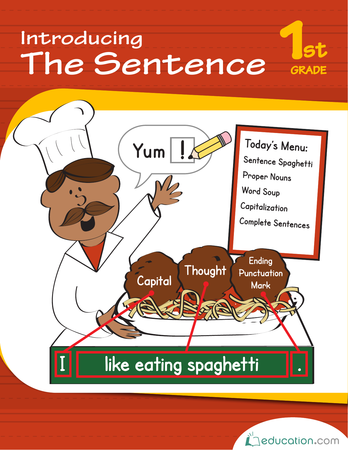 Test his understanding with this cute cut and paste worksheet. 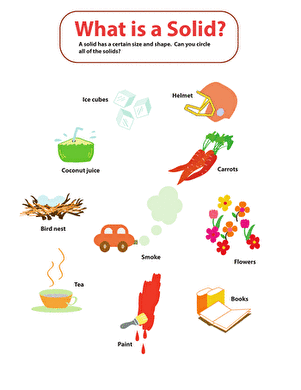 Learn all about the basic parts of a plant with a fun word scramble! Your child will un-scramble the letters to name different parts of a pretty plant. How do clouds form? Why does it rain? Help your student answer some of these questions by completing this water cycle worksheet. 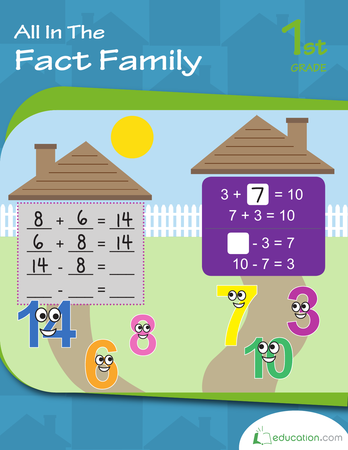 This workbook gives first graders lots of practise with addition and the various concepts within the addition family. 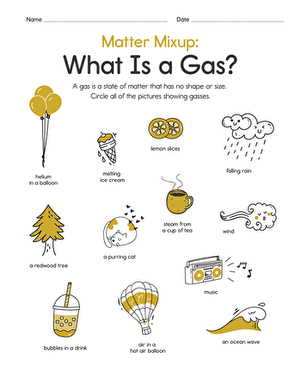 Matter Mixup: What's a Gas? Kids practise identifying gases for a lesson on the states of matter in this year 2 physical science worksheet. Matter Mixup: What's a Solid? Kids practise identifying solids for a lesson on the states of matter in this year 2 physical science worksheet.